Moscow, December 04, 2018 — Republic of Sakha (Yakutia) became the second pilot region selected to participate in the International Program to Strengthen TVET Systems and Labor Markets in the CIS, Asia and the Middle East. Republic of Sakha (Yakutia) became the second pilot region selected to participate in the International Program to Strengthen TVET Systems and Labor Markets in the CIS, Asia and the Middle East. The educational program REGION-PROFI («Managing the changes in the VET system to strengthen regional economy») was launched in Yakutia, aiming to prepare change-management leaders in the system of secondary education that can implement effective organizational strategies and create modern educational programs. The educational program was developed by the SKOLKOVO Education Development Center. Program participants are directors, deputy directors, heads of divisions of the leading regional colleges. Training consists of 5 modules, 5 days each. The program combines various training forms, including lectures by professors and experts, case studies, work with computer simulators like «Managing VET Institution» and a computer simulator for organizers of educational ecosystems. In addition, the program is used as a communication platform to establish the dialogue between key regional enterprises and VET schools aiming to build strong partnerships between colleges and regional businesses. 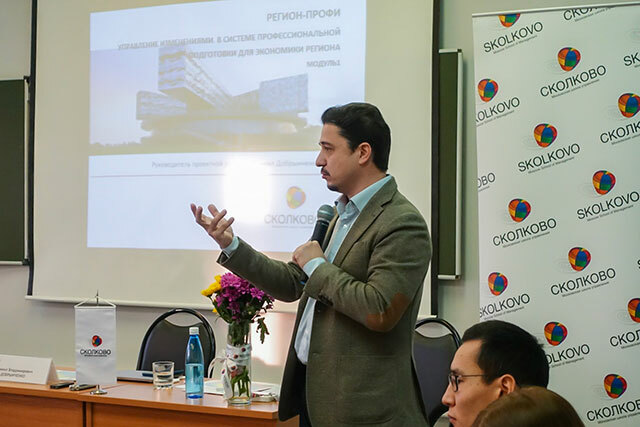 Program lecturers are Russian and international experts in the field of education management, new educational technologies, opinion leaders and leading professors of the SKOLKOVO business school. The key element of the program is group work that is guided by moderators and experts. As a result of group work, management teams prepare and defend strategic development projects for their educational institutions before the expert commission. At the end of the program, participants will present piloting results of the new innovative educational programs developed during their training. The key organizing partner in Yakutia is Vocational Education and Training Development Institute. The launch of the program took place on November 26, 2018 in Yakutsk State Agricultural Academy. Program guest-lecturers and experts included the Chairman of the Government of the Republic of Sakha (Yakutia) Vladimir Solodov, the Minister of Economy of the Republic of Sakha (Yakutia) Maya Danilova, as well as Russian and international experts in the field of digital economy, industry 4.0, regional economic development, development and management of innovative educational programs. A similar educational program was implemented for VET management teams in Khabarovsk region. As a result, seven innovative training programs were developed and projects of change launched in the regional VET system.